In the town of Squashbuckle, just about anything can happen, and when Henry Penwhistle draws a mighty Chalk Dragon on his door, the dragon does what Henry least expects--it runs away. Now Henry's art is out in the world for everyone to see, and it's causing trouble for him and his schoolmates Oscar and Jade. If they don't stop it, the entire town could be doomed! To vanquish the threat of a rampaging Chalk Dragon, Sir Henry Penwhistle, Knight of La Muncha Elementary School, is going to have to do more than just catch his art--he's going to have to let his imagination run wild. And THAT takes bravery. 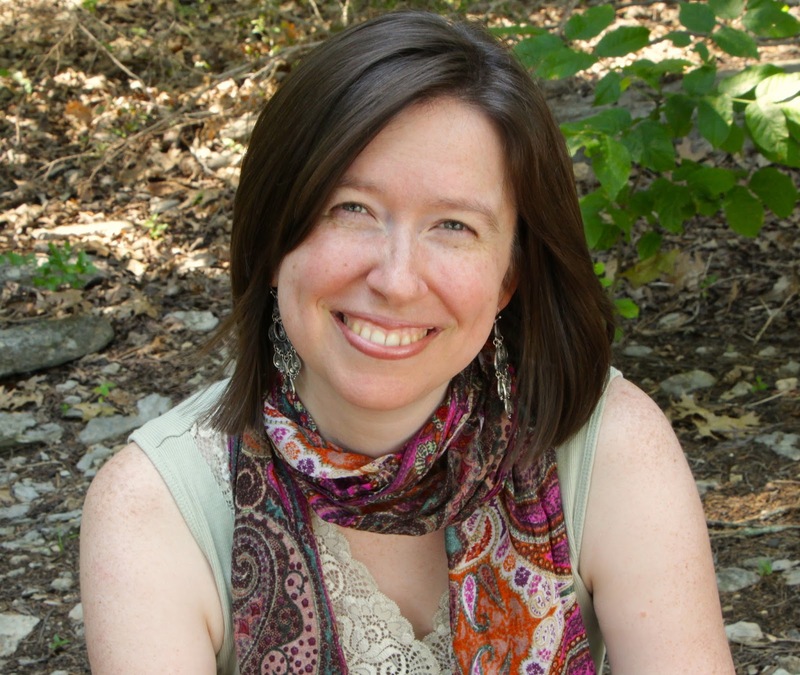 Jennifer Trafton is the author of The Rise and Fall of Mount Majestic (Dial, 2010) which received starred reviews in Publishers Weekly and School Library Journal and was a nominee for Tennessee’s Volunteer State Book Award and the National Homeschool Book Award. 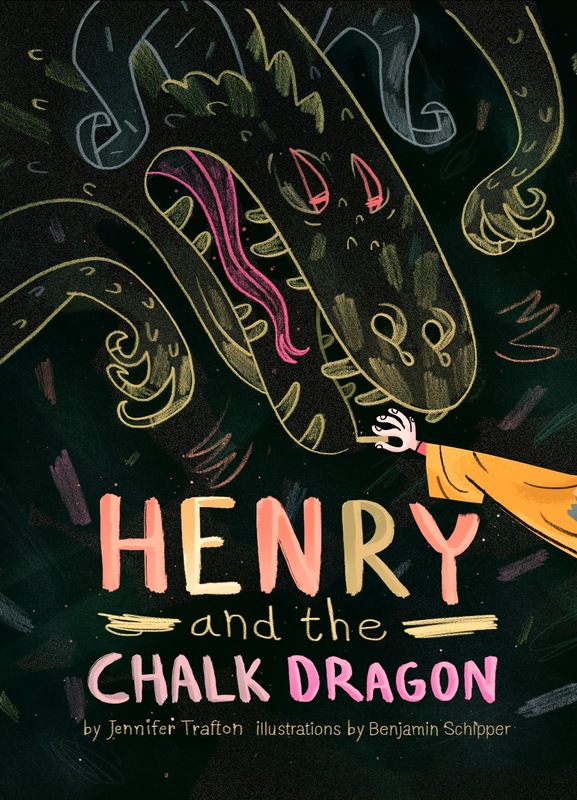 Henry and the Chalk Dragon arose from her lifelong love of drawing and her personal quest for the courage to be an artist. She lives in Nashville, Tennessee, where, in addition to pursuing her love of art and illustration, she teaches writing classes, workshops, and summer camps in a variety of schools, libraries, and homeschool groups in the Nashville area, as well as online classes to kids around the world. To learn more, and to download free materials, visit jennifertrafton.com. While Henry and the Chalk Dragon may not be the most polished book I've ever read, it was quite enjoyable. Henry loves to draw, but like Dr. Seuss, he prefers to draw things from his imagination, which means they aren't quite realistic looking. After Henry gets in trouble for not completing a picture for National Vegetable Week, he explains to his mother that he doesn't want to draw a plain bunny and veggies. While in his room, he draws a fierce dragon on his bedroom door (which is covered with black chalk paint). Afterwords his dragon leaps off the door and comes to life leading Henry and his friends on quite an adventure through Henry's house and indeed the school as well. In addition to trying to stop the dragon from destroying the school, Henry has to stop one of his drawings from coming to life in which his friend Oscar is eaten by a dinosaur (he drew this after they had a big fight). The book is quite entertaining as long as you are willing to suspend disbelief and let your imagination soar, which I believe is exactly what the book intends to encourage. What’s in your story soup? J. R. R. Tolkien, in a famous essay on fairy-stories, wrote about “the Pot of Soup, the Cauldron of Story” that has been boiling and stewing for centuries, with new bits continually added to it—bits like Cinderella, King Arthur, dragons, or the idea of love at first sight. These stories and characters and themes have simmered so long in our collective imaginations that they are a kind of inheritance, and into this great Cauldron we storytellers (the Cooks) dip our ladles and draw out the ingredients of new stories—which may themselves find their way back into the Pot to swirl and stew and to inspire future Cooks. Tolkien’s picture was in my mind as I wrote about my main character, Henry Penwhistle, playing in his bedroom at the beginning of Henry and the Chalk Dragon: “Waving his sword in sweeping circles, he whirled past the overflowing book chest with its stirred-up soup of favorite stories—stories about wild things and unlikely heroes, chocolate factories and tiny motorcycles, buried giants and mock turtles.” Henry’s imagination has been fed by stories from that Cauldron, and throughout his adventures it is clear that the stories he’s read have shaped his ideas about himself, about others, and about the art he makes. He’s a Cook dipping his spoon into the Soup and drawing out a story of his very own. I’m not only a writer; I also teach creative writing to children, and both roles require me to be intimately acquainted with the marvelous, inherited soupiness of storytelling. When kids ask me how to become a writer, I say, “First, the best thing you can possibly do is to read. Read, read, read, read, read.” Finding those kids who’ve been raised on a hearty diet of books, who have drunk deeply of the Soup, is terribly exciting to me—because in them I see imaginations capable of creating poems and stories and art that have the power to shape other people’s view of themselves and the world—that could, in fact, become part of the ongoing inheritance that charms and challenges and enriches all of us. 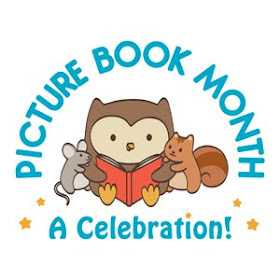 Librarians, teachers, and parents who nurture a child’s love for reading aren’t just helping that one child succeed. They are, potentially, sending out into the world an imaginative Cook who can add his or her own stories to the great Cauldron that has been bubbling for centuries. They are stirring the Soup that will inspire future generations. And that is a high calling indeed.